Are you ready to escape the Phoenix heat in favor of the cool temperatures of the White Mountains? Then look no further than “The Gateway to Arizona’s White Mountains:” Show Low, Arizona! This quaint city, population 12,000 (and growing), is a great place to visit anytime you want to get out of the hustle and bustle of Phoenix. With an average summer temperature of 84 degrees during the day, a cool 55 degrees at night, and mild winters, it’s easy to see why Show Low is a popular place for many desert dwellers to get away from it all. Cool temperatures also make for plenty of fun outdoor activities! Show Low has been recognized by Outdoor Life magazine as one of the top towns for sportsmen, and was even ranked #11 on American Angler magazine’s list of amazing fly-fishing destinations! If you’re looking for a great place to revel in breathtaking scenery while you enjoy a day of fishing, Show Low is the place to do it. And since you’ll be out and about in the forest of northern Arizona—as opposed to the beach—you don’t have to worry too much about sun protection, right? Wrong! Lathering on sunscreen and wearing protective clothing are just as, if not MORE important, in the high country as on the beach. 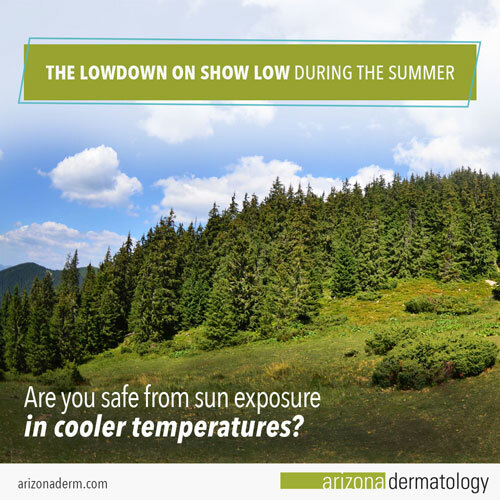 Why is it that you’re more likely to get a bad sunburn in Show Low than while sitting on a sunny beach in Southern California? One word: elevation. The city of Show Low sits at an elevation of 6,400 feet above sea level. At that altitude, the sun’s rays aren’t filtered as well by the atmosphere as they are at sea level—so the sun is much more intense. Even worse, the effects of the sun on your skin are very subtle, so you could be developing a severe sunburn without even realizing it until it’s too late. Just imagine coming in from a day of hiking in the mountains of Show Low only to realize your arms, neck, and legs are getting red, itchy, and full of blisters. Ouch! A painful burn is no way to end the day, especially when you’re supposed to be having a great time on vacation. But it does happen! Your exposure to Ultraviolet (UV) rays actually increases by 10% for every 3,000 feet in altitude you ascend. 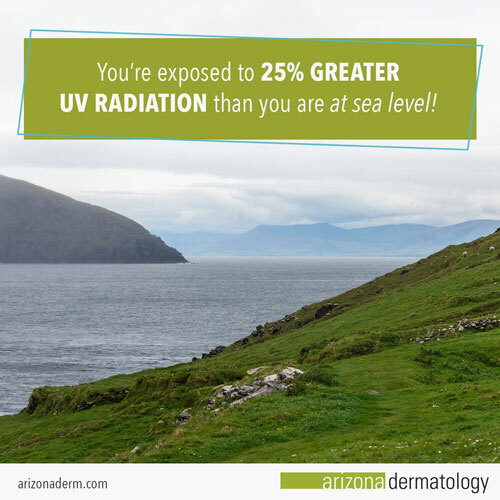 This means in Show Low, where you’re a little more than twice that at 6,400 feet, you’re exposed to 25% greater UV radiation than you are at sea level! The combination of high altitude, as well as closer proximity to the equator (which further increases the intensity of the sun’s rays), means you don’t get to take a vacation from your daily sun protection regimen. If You See Your Reflection, You Could Get a Sunburn! In addition to risks associated with high altitude and proximity to the equator, dangerous UV rays can get you while you’re out fishing on Show Low Lake. Still lakes may be beautiful and serene, but they can also reflect up to 100% of UV rays! As a result, you’re (again) at a higher risk for sunburn and skin cancer on the lake than you are in the ocean. On a sunny day in the high elevation of Show Low—which gets 265 days of sunshine every year—you have to be very careful, especially if you have fair skin or are on medication that increases your skin’s sensitivity to sunlight (such as retinol). Wear plenty of sunscreen and try to get out on the lake and back by 10 AM, or after 4 PM, if possible to avoid the hours when UV rays are strongest. Maybe you loved visiting Show Low so much this summer that you’re planning to go back this winter for some skiing. Yep, you can still get burned while skiing or snowboarding! Snow is just like a lake—it reflects UV rays. In fact, 80 to 90% of UV light is reflected from snow right onto your skin. Compare that percentage to grass, which reflects only about 3% of UV rays, and you can see how important sun protection is, even during the winter! Though you typically wear layers with long sleeves and gloves in the snow, don’t forget to protect your face and scalp with sunscreen, a hat, and good sunglasses before you hit the slopes or build a snowman. You may not be “out of the woods” when it comes to sun protection in Show Low, but you can still enjoy your stay in the high country without getting a sunburn! Use a quality sunscreen with SPF 30 or higher and learn how to apply it for optimum protection. Check the UV index forecast before you go so you can plan the best days/times to be outside. Wear protective clothing, including a wide brimmed hat and sunglasses. Try to stay out of direct sunlight as much as possible during times of day when the sun’s rays are strongest (between 10 AM and 4 PM). If you need to be outside between 10 AM and 4 PM, seek shade as often as you can! Remember, even if it’s a cloudy day you need to lather on sunscreen. Clouds don’t prevent those harmful UV rays from shining down and damaging your skin, especially in higher elevation! 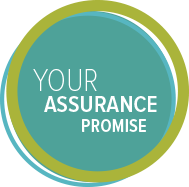 Protect yourself every day to prevent wrinkles and skin cancer from developing later on. Following these sun safety tips will ensure you return home from Show Low with fond memories and great pictures as your souvenirs, instead of a painful sunburn. Hit the road toward those majestic White Mountains of Arizona, armed with everything you need to protect your beautiful skin from the intense mountain sun!